We all have our own ideas about which skills prisoners are taught in custody and which jobs they go on to hold upon release. Whatever those ideas are, it is unlikely that optics is one of them. But that's exactly the area of training that Pen Optical provides to the prisoners with which it works. In 2003, Tanjit Dosanjh's father was put in prison. One year on, Tanjit began to study optometry, all the while continuing to visit his father in prison. 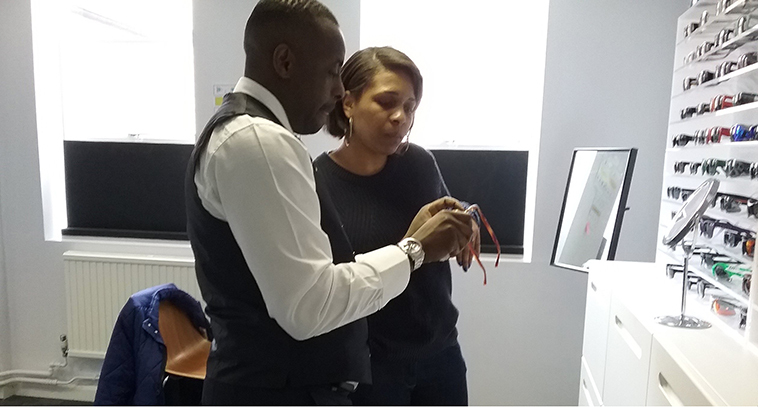 It was during these visits, hearing about the types of training courses that are available to people in prison, when the idea behind Pen Optical first came to him. 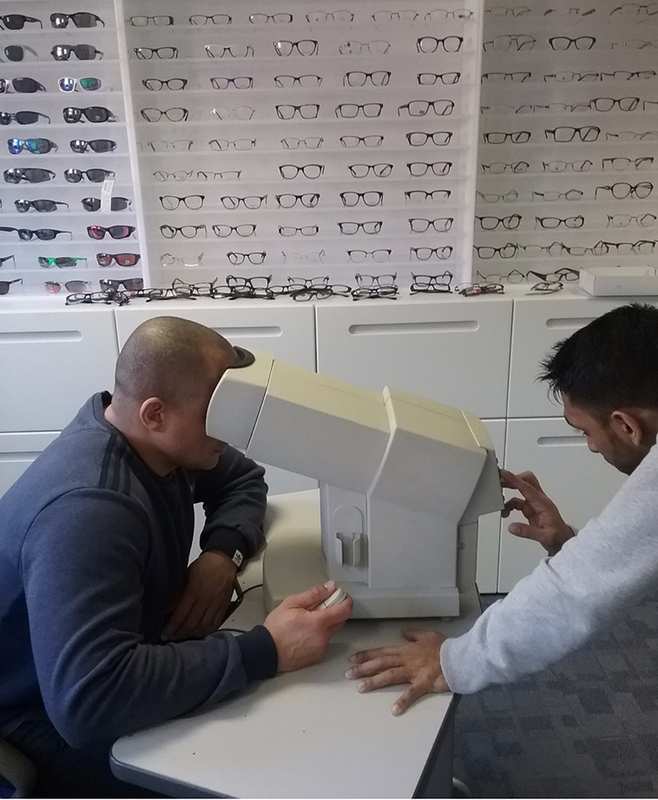 However, it was only in 2012, after qualifying and spending several years practising optometry, that Tanjit decided it was the right time to really give Pen Optical a go. Eighteen months after the pilot programme began, it had developed into a full time programme, and a training centre for those enrolled on the course was set up outside of the prison setting. 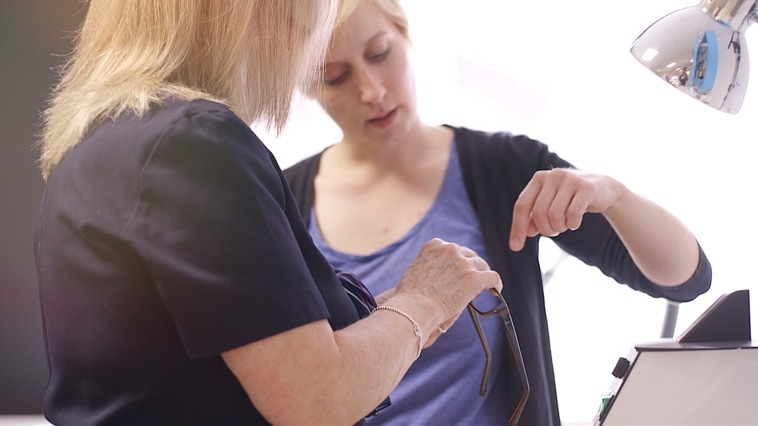 The programme that is now delivered runs for 8 weeks, during which time trainees spend four days each week at the training centre, where they are trained in Optical Assistant skills. During this training period, Pen Optical observes the trainees closely, deciding who is suitable for work in optics and can therefore be recommended to an employer. This is then followed by a month-long work experience placement in practice to give employers time to make a decision about the suitability of a trainee for their business, as well as professional exams. At the moment, trainees come from Standford Hill and East Sutton Park prisons, although Tanjit's long-term plan is to establish more training centres in two additional locations across the UK. So far, Pen Optical has trained 21 prisoners in optics. Of those who have completed the programme, 13 have gone on to secure employment in an opticians. Jerry and Shauna are two of these individuals. Both have completed the training programme and passed their exams. By providing them with the necessary skills to gain sustainable employment, Pen Optical has given Jerry and Shauna a future. Both have also been received well by the teams in which they have been working. Sanjay Patel, Jerry's and Shauna's employer at Specsavers, has nothing but praise for both the quality of his employees and the quality of training provided by the Pen Optical programme. The way in which these programmes are funded is where things become really interesting. Every prison in the UK has an optometrist who attends once a week to carry out sight tests and offer eye care to inmates. Pen Optical has now secured contracts to provide these sight tests in some prisons. The 33 prison contracts that Pen Optical currently holds have allowed the organisation to become self-sufficient in the short-term, although they still rely in part on grants given to them by charitable trusts. Tanjit reckons it would take another 20 contracts for them to be able to become permanently sustainable and to have no need for grants. His hope is that eventually, Pen Optical will not have to rely on generous grant makers at all for funding.